The Pulse: Gansevoort Dominican Republic, a five-star luxury resort, will open December 15 in Puerto Plata, an emerging Dominican resort district. 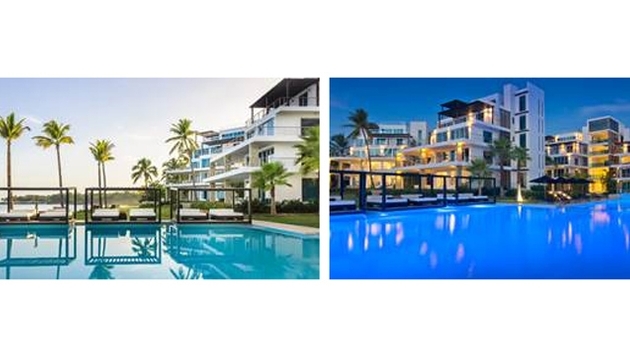 Gansevoort Hotel Group has announced it will be officially opening its doors Dec. 15, 2014 to its latest oceanfront resort – Gansevoort Playa Imbert – on the Dominican Republic’s north coast. As a strong sign post to the area becoming a luxury tourism destination, Gansevoort Playa Imbert will feature 48 suites comprised of one and two-bedroom lofts; three-bedroom apartments with private plunge pools and spacious terraces; and a collection of four-bedroom penthouses. Each penthouse offers a private rooftop Jacuzzi. Floor-to-ceiling windows seamlessly blend the outdoors with the indoors offering dramatic seascapes from every guestroom, while modern interiors provide understated opulence with standard amenities like state-of-the art kitchens, walk-in showers, custom bathtubs and natural stone finishes. While the north coast has been well served by value-led all-inclusive resorts, it hasn’t had the contemporary, chic, service-led option that the urbane and discerning luxury traveler seeks; that is, until now. At Gansevoort Playa Imbert, guests can now relax in refinement while basking on the beaches of confectioners-sugar sand; enjoy spectacular scuba diving amidst shipwrecks; explore over 400 acres of a protected wilderness reserve or simply take in the nearby historic town. In true Gansevoort fashion, the one-stop destination will offer guests impeccable style, service and amenities. At the resort’s center is a dramatic, 3-tiered cascading infinity pool overlooking Playa Imbert’s crescent-shaped beach. A second, adults-only pool will open spring 2015. Dining at Baia Lounge, now open to the public, features gourmet Mediterranean specialties and Asian-inspired fare flawlessly executed by Executive Chef Giancarlo Fiori, whose credits include the highly acclaimed Peninsula House and world-famous, Michelin 3-star El Bulli restaurant in San Sebastian Spain. Downstairs, La Cantina Wine + Cigar Cellar offers an impressive collection of wines from around the world and a fully-stocked humidor in an exclusive, underground setting. Other planned amenities include a fitness center, a world-class day spa featuring a Hammam-style sauna, and a meditation and yoga garden. Gansevoort Playa Imbert is located just 15 minutes from Puerto Plata Airport and a short drive from renowned surfing, kiteboarding, golf, tennis, horseback riding and more. As is signature to the hotel group brand, Gansevoort is leading the area's luxury development. Further luxury accommodation will become available in this area of the Dominican Republic's north coast region when Aman Playa Grande opens in 2015. For its initial property, Gansevoort led the revitalization of the once gritty Meatpacking District in New York City by opening the first and only full-service five-star hotel in the neighborhood, Gansevoort Meatpacking NYC. Recognizing its success in New York, the group opened in the Caribbean, debuting Gansevoort Turks + Caicos as the first island location for the boutique brand. A second Gansevoort hotel in New York, Gansevoort Park Avenue NYC, opened to much fanfare in 2010, and has become synonymous with celebrity, fashion and entertainment. Rates at Gansevoort Playa Imbert range from $595 per night to $5,000 per night, including breakfast for two and roundtrip transfers from and to Puerto Plata Airport (POP). 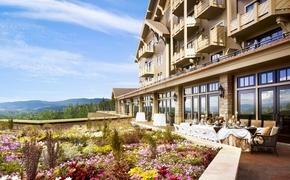 For accommodations including breakfast, lunch and dinner for two, rates will range from $795 - $5,800. All rates also include round trip transfers from and to Puerto Plata Airport (POP). Reservations can be made by calling 888-844-5986.